Evaluation of spectral characteristics of biological tissues is important in medicine for the diagnosis of different pathologies and monitoring quality of treatment. It is well known, that the optical properties of biological tissues are determined by the quantitative composition of the main endogenous chromophores, such a melanin, hemoglobin, water and collagen and changes in these chromophores indicates the occurrence of various pathological processes. Quantifying hemoglobin is crucial for the diagnosis of cardiovascular, rheumatic, endocrinological, dermatological and other diseases. Changes in the concentration of total hemoglobin and hemoglobin fractions (oxyhemoglobin and deoxyhemoglobin) are important markers for the detection of tissue hypoxia and circulatory disorders. 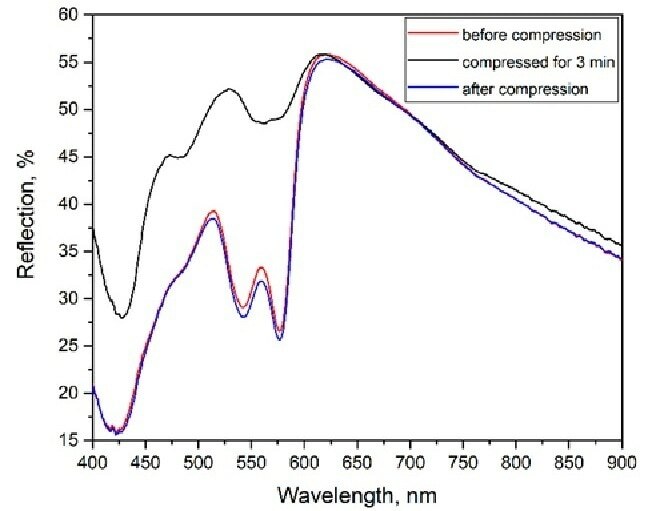 Hemoglobin and its fraction have characteristic absorption bands of optical radiation in the range from 340 to 980 nm, which allows us to evaluate each of them. In the current study we decided to assess the possibility of using the Diffuse Reflection method to evaluate the concentration changes of hemoglobin in biological tissues for real time. 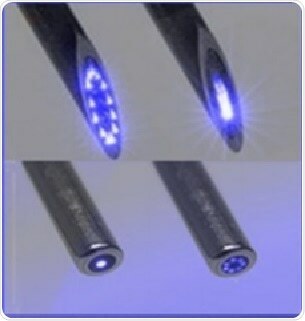 For this reason, we developed Reflection Fiber Probe, where seven illuminating fibers are located around the one detection. Experimental setup consisted of the Reflection Fiber Probe, UV-VIS spectrometer from Ocean Optics, and halogen lamp. Additionally, hemoglobin index и tissue saturation were calculated according to the approach described in the articles [1,2]. The series of experimental studies with application of an occlusive test was conducted by compressing the arm blood vessels using a cuff with a pressure of 240-260 mmHg allowed to simulate an almost complete cessation of blood circulation and emptying of blood vessels. Thus, our Reflection Fiber Probe allows to quantify the dynamics of changes in oxygenated and deoxygenated hemoglobin with a sharp decrease in their concentration. The analysis of changes in the hemoglobin index and tissue saturation allows to conclude about the presence or absence of tissue hypoxia and blood circulation disorders. 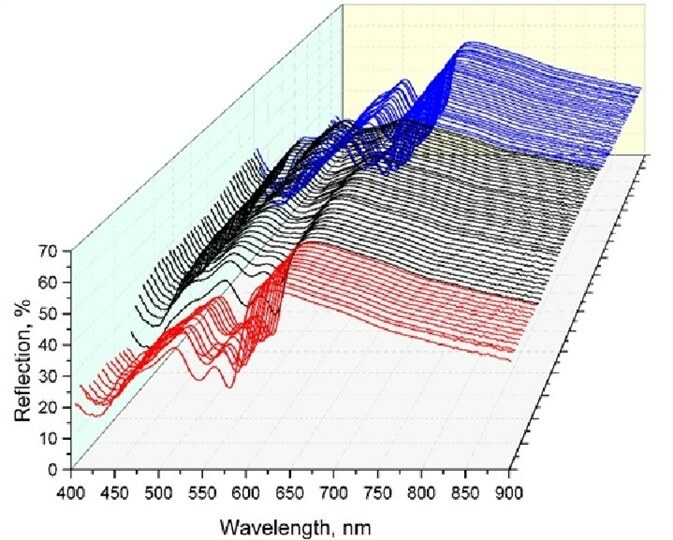 3D-plot of diffuse reflectance spectra ( Fig.1) , average of diffuse reflectance spectra in each stage: before, during compressed for 3 min and after compression (Fig.2). 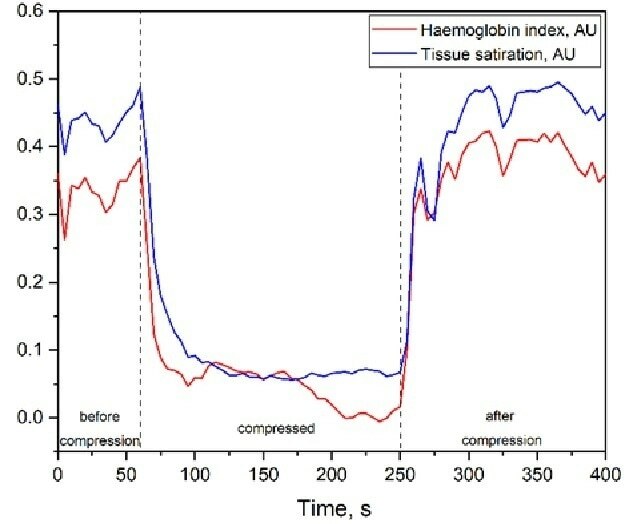 Time resolved changes in the hemoglobin index and tissue saturation (Fig.3). Presented work was done in collaboration with European Laboratory for Non-Linear Spectroscopy.
. Spott,T. et al. “Application of optical diffusion theory to transcutaneous bilirubinometry”, Proc. SPIE – Int. Soc. Opt. Eng., 1998, vol. 3195, p. 234.
. Potapova, E.V. et al. “A Complex Approach to Noninvasive Estimation of Microcirculatory Tissue Impairments in Feet of Patients with Diabetes Mellitus using Spectroscopy”, Optics and Spectroscopy, 2017, vol. 123, No. 6, pp. 955–964. In the global market, art photonics GmbH is the leader in manufacturing and supplying InfraRed chalcogenide and polycrystalline specialty optical fibers, spectroscopy fiber probes and fiber bundles, high power fiber cables for industrial and medical applications. Clubbed with innovation, art photonics aims to provides optimized solution to suit specific customer requirement. The products FlexiSpec® and FlexiRay® stands testimony to their success.